We all know lengthy layovers can be inconvenient, and well, let’s face it, wearisome. Our new monthly feature, “Your Next Layover at…” will explore what to eat, see, buy, and do on your next layover at the world’s busiest airports! 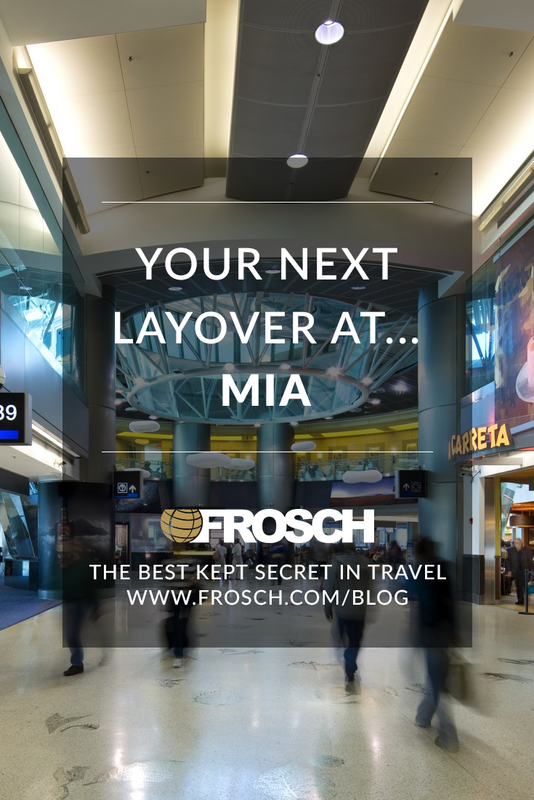 This month, we’re featuring Miami International Airport in Miami, Florida. With a beautifully tropical climate, world-class beaches, stunning architecture and a lively nightlife scene, you’ll likely want to spend most of your time outside the airport in Miami. But, if you happen to get stuck on a layover that doesn’t allow for a trip to the beach, there’s plenty to do in the massive international airport to keep you busy or ensure you’re relaxed pre-flight! 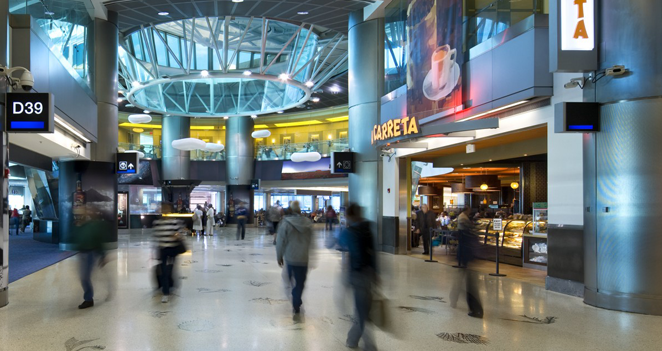 Miami is known for its Cuban flair, which certainly extends to culinary options at the region’s busy international airport. Sample the iconic local cuisine at Café Versailles or Café La Carreta or if you’re looking for something light and fresh after a visit to this warm coastal city, opt for Fig & Fennel or Icebox Café. If you’re lucky enough to cross paths with the airport’s trained therapy dog, make sure to offer a pat! The airport’s resident Golden Retriever strolls around the airport on select days offering snuggles to fearsome fliers. Though large, the Miami airport’s terminals are pretty accessible via a TRAM. Get your steps in before your flight and explore a variety of stores stocked with your typical souvenirs, Miami-based stores like Books & Books and Havana Collection, and high-end shops in the North terminal. Do relax! With two spas in the airport and a designated Yoga room, there’s no excuse for not feeling relaxed before you board your flight. The Yoga Room is accessible in Terminal H prior to security and is equipped to with yoga mats so you can sneak in a sun salutation before heading into the clouds.